Boujis Nightclub - The Hottest London Nightclubs - Get on the Guestlist & Book a table! The Boujis Night Club is a place that is full of style and elegance, making it a frequent hangout for royalty and celebrities, as well as those who simply enjoy an extravagant night out on the town! The staff at Boujis understands how important it is to go the extra mile in order to make sure everyone who gets in is well taken care of. This is what makes this high-class nightclub so exclusive, and the reason why it’s so popular amongst top celeb’s. Opening back in 2002, Boujis is an exclusive nightclub with a reputation to back it up. Boujis is known worldwide and hosts many popular events. The subtle, elegant design of Boujis is comprised of floral patterns with mainly blue’s and purple’s. Once inside, you’ll see comfortable black couches surrounding the room with tables placed strategically throughout, which emits a seductive feel. The music is made up of house, electro and dance floor music. A DJ plays all the latest music while guests show all their best moves on the spacious dance floor! The VIP section is sectioned off from the rest of the club behind the bar area and is for those who have no qualms about spending large amounts of money to have a good time. Considered a private place where many of the rich and famous come to have fun, Boujis is one of the most elite nightclubs in London! The Boujis GuestList is an exclusive nightclub, which means you’re going to have to get past the door staff if you’re not on the GuestList. That’s why we highly suggest you add your name to the list as soon as possible so we can let you know whether you’ve made the cut or not. Since Boujis is infamously complicated to get in, if you’re not on the GuestList, we want you to sign up so you’re sure to get in once you’re approved. Remember, once you get past those fancy red velvet ropes you’re going to have a great time! 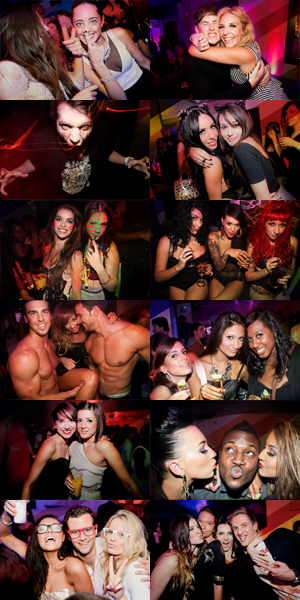 If you’re ready to have a night of fun and live the London highlife, sign up to be on the Boujis GuestList today!